On November 14th look forward to yet another designer and chain-store collaboration. Isabel Murant teams up with retailer H & M for a designer collaboration for the Fall 2013 season. Models Alek Wek, Lou Doillon, Milla Jovovich and Constance Jablonski model pieces that echo Marant’s Parisian bohemian aesthetic perfectly. Since launching in 1994, Isabel Marant has gone from cult Parisian designer to international heavyweight, influencing big design houses and retailers alike. And this year she is H&M’s guest designer, which means not only women but also (for the first time ever) men and teens all over the globe will be able to – literally – get a piece of Marant’s chic, low-key and oh-so Parisian look. “This collaboration with H&M was really a nice opportunity to re-do what I love in my collections and share this love with a wider public,” she says. “I never really did a total outfit for men, and it’s my first time, doing it for H&M,” she said of the menswear part of the collaboration, which features brown boots, chunky turtle necks and fitted jeans. 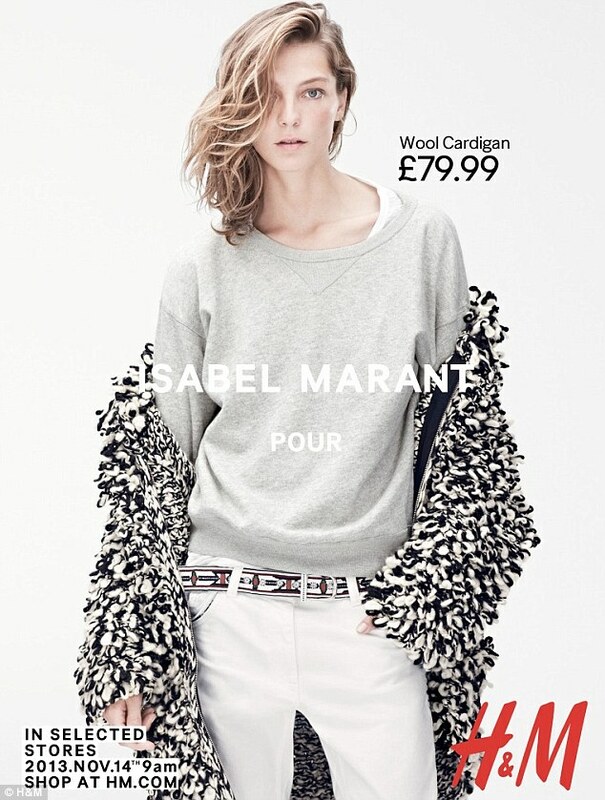 “Isabel Marant for H&M” includes clothes, shoes and accessories for women, men and teens. The collection will be available in selected stores around the world starting November 14.